Cole gave a fresh perspective to The Miter last year with his in depth look on the sports world, giving a unique look at many professional and collegiate leagues that go beyond the play on the field. 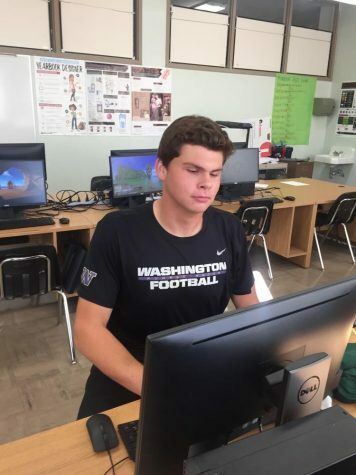 A consistent reader of popular sports websites such as ESPN, Bleacher Report, and 247 Sports, Cole hopes to one day turn his passion into a career and write for one of these sites. He also enjoys writing on current events and reviews of “hidden gem” restaurants around the greater Seattle area. Cole hopes to earn a degree in journalism by using the skills he has learned from his 2 years at The Miter after high school. He also hopes to play college football.